1. Restoration of tilled pastures – restoration of grass vegetation by natural means or by sowing of native grass species. 2. Restoration of pastures overgrown by bush vegetation to make them fully compatible with the eligibility criteria for subsidy from the RDP, and ensure that they still retain rich biodiversity trough partial removal of the undesirable vegetation in order to maintain a mosaic habitat. 3. Management of restored pastures by grazing or mowing. The objective of this action is to study the area of destroyed foraging habitats around Imperial Eagle's nests. The study will cover all 30 nesting sites occupied by pairs of Imperial Eagle in the period 2006-2014. A further analysis will explore the connection of the Imperial Eagle to changing habitats and will answer the question to what extend the changing environmental conditions have affected the presence of the species in the researched territories, and the changes of its nesting parameters. The data about nesting success (number of hatched chicks and number of juveniles leaving the nests) during the years and the following onsite verification will be used to establish the impact of changes in land management. The capacity of raptors to acquire sufficient amounts of food is a main factor limiting their nesting. Population stability and increase is defined mainly by the presence of food resources, the mortality rate of the adult individuals and the availability of suitable breeding sites. Knowing the individual feeding preferences of each pair is a tool of planning of specific conservation activities in any given territory and this will inform the activities for restoration of the Imperial Eagle habitats. The feeding residues (bones, feathers, regurgitated pellets) will be gathered during the autumn and winter periods from resting sites (around the nests) used by the eagles. The BSPB will work in partnership with leading Bulgarian scientists from the Institute of Biodiversity and Ecosystem Research at the Bulgarian Academy of Sciences, studying and conserving the European Souslik. During this action, 100 latest generation GPS collars with wireless data transfer will be purchased for use on sousliks and 2 signal receivers. Collars will be used on animals from a single souslik colony. The sousliks will be caught using least stressful methods with minimum health risk for the trapped individuals. Transmitters will be fitted only on healthy adult individuals who will adapt to the transmitter more easily and will provide more valuable data about the activeness and movements of the animals. Sousliks from a new colony formed by reintroduction will also be marked. The souslik tracking data will be used to prepare a feasibility study of the possibilities for restocking/reintroduction of sousliks within the lands which will be managed by the project partners. The latest scientific research in Bulgaria shows that the European Souslik has reduced its area and numbers to a drastic extent. The disappearance of 30% of the colonies has been registered in comparison to the 1950-1990 period, with 28% of the current souslik colonies being endangered. The evaluations of the status of the populations in many regions of the past 15 years shows a continuing decline in the numbers of the species, fragmentation and reduction of the area of inhabited territories, and extinction in some localities, as well as, lately, destruction of inhabitable habitats by ploughing of pastures. The elaboration of a National Action Plan for Conservation of the European Souslik in Bulgaria aims to support efforts of authorities and conservationists to preserve the national population of this species. Souslik conservation is a direct contributor for improvement of the Imperial Eagle's food base, a species frequently dependent on souslik colonies in the areas where both species coexist. The restoration of formerly tilled pastures will contribute directly to the conservation of the European Souslik and of other animal species on which the Imperial Eagle depends for food. The restoration of such tilled lands will enable restoration of the mosaic nature of the habitats and, therefore, the foraging and living habitats of a larger number of species and individuals of birds, mammals and reptiles. Two main grass association restoration methods will be evaluated. The first method is natural resettlement/regeneration processes of the grass species, and by seed transfer by farm animals. The second method involves adequate soil preparation and sowing of grass species at a minimal rate of 50 kg of seeds per hectare. The restored pastures will be maintained by extensive grazing of farm animals and by mowing. The overrunning of the pastures by brush is linked directly to the diminishing of the species composition and to the abundance of bird species, many of which are an important trophic resource for the Imperial Eagle. The measures for restoration and management of areas will be undertaken by means of removal of unnecessary vegetation, but leaving of a certain percentage of bushes in a mosaic pattern. This action is intended to establish and test new methods for habitat restoration and management that has pilot and demonstration character as it will establish environmentally and economically sustainable approach for land use. This action will test various scenarios for grasslandmanagement through sustainable and extensive grazing. It will allow adequate and realistic assessment of effect of grasslands management scenarios on key elements of biodiversity inside and outside the Natura 2000 network in Bulgaria and propose standards for best practice grassland management coherent with the conservation needs of the target species. The assessment in question will specifically focus on the current agri-environmental measures applied inside SPAs and SCIs and their impacts on biodiversity. 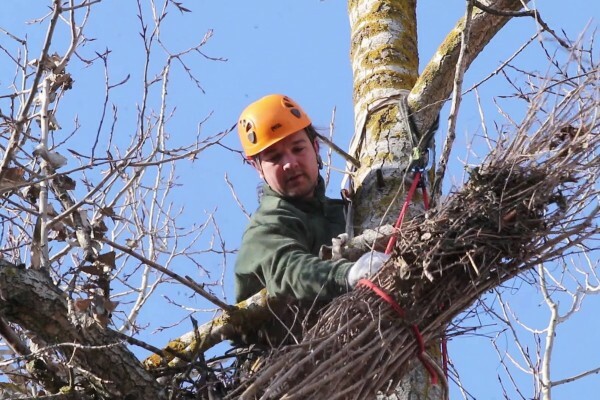 This project action will create 30 new typical tree lines and patches within the project SPAs in order to enhance foraging and breeding habitats. These tree lines will be established in arable areas or along small rivers, both in the territories occupied by Imperial Eagles and in the suitable vacant territories, in order to restore the landscape features that improve the foraging habitat of the Imperial Eagle and provide areas for future breeding of the species. 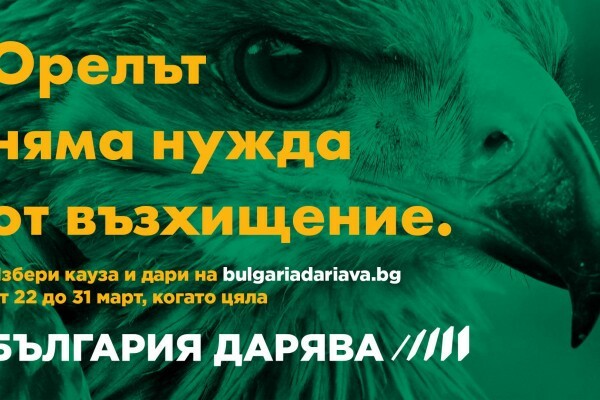 Lack of safe and suitable nest sites has been proven to be a clear limiting factor affecting the breeding success of Imperial Eagle in Bulgaria. The installation of artificial wooden nests for Imperial Eagles will encourage young pairs to occupy and breed in unoccupied, yet suitable territories. Built in places of minimum disturbance, the artificial nests will contribute to successful breeding. The project team will carry out pilot reintroduction/restocking of a European Souslik in one of the project Natura 2000 sites to recover colony which has been destroyed by tilling or has disappeared or heavily suppressed as a result of pasture overgrowing with bushes. Notably, the relocation will take place on the territories of the restored pastures targeted by the project and located in SPAs. This activity will be carried out with the support and supervision of specialists from the Biodiversity and Ecosystem Research Institute at the Bulgarian Academy of Sciences. There is a clear connection between the density of sousliks colonies and the nesting success of Imperial eagles’ pairs. Objectives of this action are (1) minimizing the threats arising from agriculture and CAP, (2) promoting an appropriate management of agricultural land especially on grasslands, through the engagement of farmers and other agricultural stakeholders (e.g. local authorities, agricultural advisors and experts) and (3) promoting the growth of traditional, pasture sheep and Cattle-breeding. Eight information workshops will be carried out in two consecutive years (2016 and 2017) in the period January-May, to allow farmers to get acquainted with available funding options from the new RDP 2014 – 2020 and to consider including those in their application forms for agricultural subsidies. 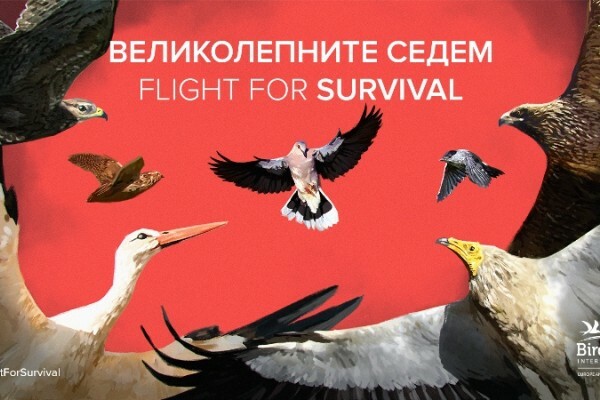 The project's communication activities aim at raising public awareness of the species and its habitats, the main threats and conservation actions through the organization of information campaigns ("Live for the Eagles in Bulgaria"), national and regional events, production and distribution of information materials, information boards in the project areas, etc.